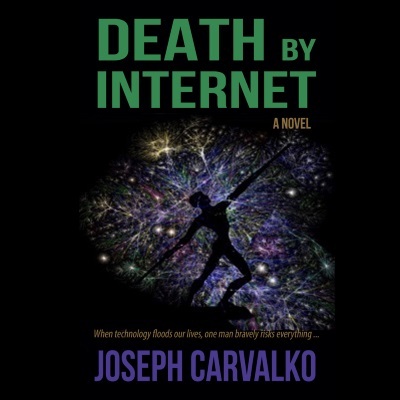 DEATH BY INTERNET my new novel is a thriller about a domestic revolutionary and the government’s efforts to silence him. The story plays out in a prison cell, where an old man, half Native American, waits to be executed. He tells about his life, the violent deaths of his parents, his activities as a Indian activist, during the Indian uprisings of the ’70s, and then the years spent underground to avoid prosecution. One day he decides to take one last stand, and make a social statement by connecting himself to the Internet to provoke his audience to vote, whether he lives or dies, based on whether their social/political position reflects empathy or malice against the downtrodden. Much of the setting for the book comes from my years traveling and living in New Mexico, Nebraska, and South Dakota (’60s, ’95-’96, 2000s), in one case working a farm on reservation land, and another on the board of the American Indian Center, and insofar as the protagonist’s prison cell, my experience as lawyer, where I came to know it first hand. Wendell Wallach, Chair, Yale Technology and Ethics Research Group and author of A Dangerous Master: How to Keep Technology From Slipping Beyond Our Control) wrote: “If you delight in fiction that engages the reader in an ethical dilemma, you’ll love this contemporary allegory, which journeys from Wounded Knee to a macabre life and death experiment on the Internet.” You can purchase the book at Sunbury Press or Amazon, electronic version or paperback. I have about half dozen eBooks available gratis, for those interested in giving it a review and posting their comments on social media (Facebook, Twitter, Amazon, etc. 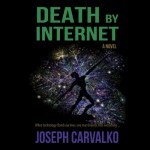 ), send me your email address at author@carvalko.com.